•	APT FOR LARGE BREED DOGS- Royal Canin Maxi Adult Dog Food is a diet apt for Large Breed Dogs weighted from 26- 44 Kgs, over 15 months of age. •	MAINTAINS ENERGY LEVEL- The Food meets the moderate energy needs of Large Breed Dogs, who have a long growth period. •	IMPROVES SKIN & COAT- The product contains ideal levels of EPA-DHA that helps in improving Skin and Coat of dogs. •	PROMOTES HEALTH- This food formula is designed to meet the specific needs of Large Breed Dogs and promotes health. 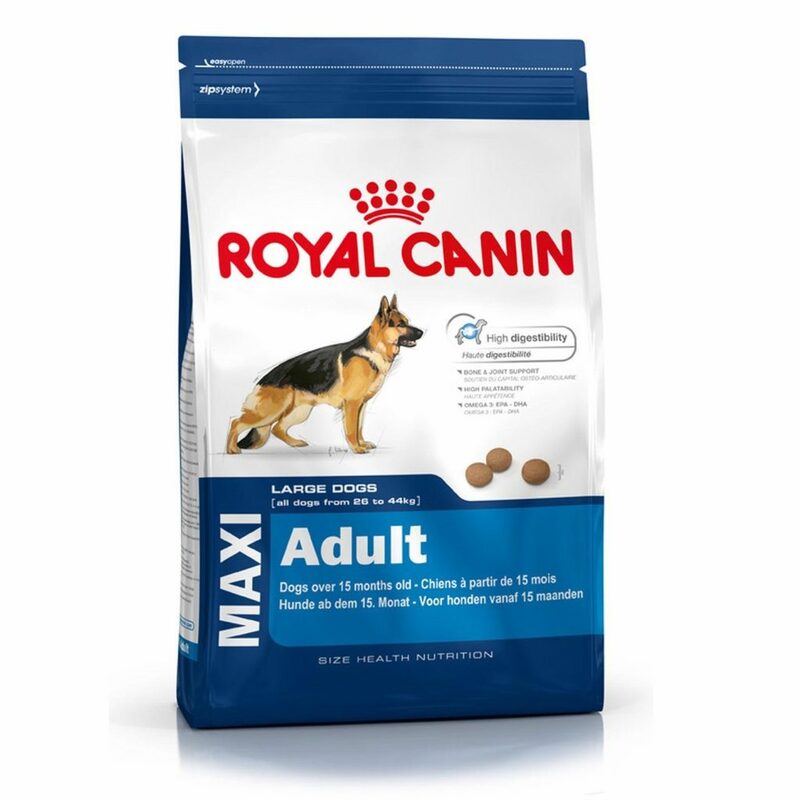 Royal Canin Maxi Adult Dog Food is a diet apt for growing Large Breed Dogs, who weight 26-44 Kgs. This Food contains such a formula that helps in enhancing B1 structure of dogs that ultimately improves Bones’ Strength and promotes better health and development. This Dog Food meets the moderate energy needs of Large Breed Dogs, which have a long growth period. It also contains an apt amount of EPA-DHA that helps in improving Skin & Coat of these dogs. This food formula is designed to meet the specific needs of Large Breed Dogs and promotes health.